Due to aluminum strip is commonly used in transformer winding, so we take aluminum strip for transformer as the example. Pure aluminum 1060 has good conductivity and have low price, the most commonly used material in transformer winding is 1060 aluminum strip. The qualified 1060 aluminum strip used in transformer is required to have high conductivity, soft texture, smooth surface, no scratches, no burr, stable chemical composition and so on, sometimes, round edge is also needed. According to the application request, the main component silicon is less than 0.25%, the iron is less than 0.35%, the copper is less than 0.05%, the resistivity is less than 0.028, the other elements conforms to the national standard, the conventional product temper is “O”, the thickness is 0.2 to 2.0mm, the width is 20 to 1500mm, and the different thickness and width can be made according to the customer’s requirements. 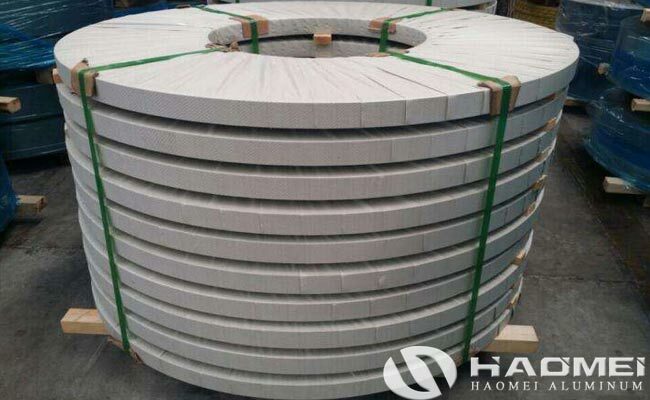 Thus, when we choose aluminum strip supplier in the market, we can judge the surface, the chemical composition, the performance and so on to decide whether the product and factory are meet your requirements.